Recently I happened to see a movie called “Tamasha” in which the central theme of the film was around the protagonist who was influenced by storytelling and went on to become a great storyteller and stage artist himself. How often have I wondered that, no matter whichever the field or domain, the greatest and the most successful people had one quality in common — they were all great storytellers. Storytelling is not confined to just art, writing or movies alone. It is as much applicable to business, sport, sales and management as it is to art. Who needs to be a storyteller ? Is it only for creative people, artists, movie directors etc? No not at all. It applies for everyone. Practically everyone, but most importantly Storytelling is very critical for people in leadership roles cutting across all domains. Who are the greatest storytellers or our time? Richard Branson is a great story teller — please google for visuals and you will realise how this guy created his awesome Virgin brand through his events and stories. Steve Jobs was one of the greatest storytellers of all time — every Apple conference and product announcement was more well received than the best pieces of performing art themselves across the world. How can we forget the way he launched MacAir from an envelope?? Is he a businessman or an artist or a storyteller? Dhoni is a great communicator and story teller, he is probably the best in finding anologies and handling press conferences with the right mix of story and attitude and humour. We all are realising how good Mark Zuckerberg is at story telling from his facebook updates. To top it all up the best of all, our Prime Minister according to me is one of the best story tellers of all time. His “Mitron…” and “Vikas” story not just captured hearts but also the vote bank. He sold his story to 1.2 Bn Indias couple of years back and is on his way towards becoming a great global leader. All of them above are not just leaders but great communicators and awesome storytellers. That is why they have had stupendous success in whatever they set out to achieve. What is the essence of Storytelling? What translates good storytellers from becoming great leaders and winners in their own domain? Well — It is their ability to see what is not there; then imagine, visualise and convey this visualisation to the other stakeholders and thereby inspire them. Central to the core of the art of storytelling is selling a dream. This is why the best sales people are often the greatest story tellers. 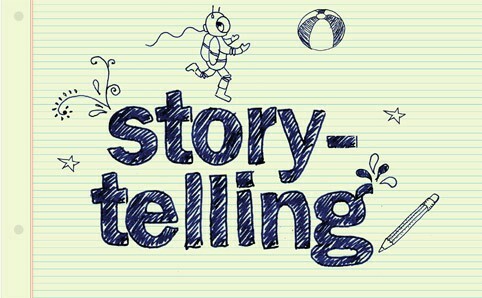 Brand story telling is not a new concept, advertising and branding have been using this concept for ages. It however takes new avatars like the one now called “Content Marketing” which is essentially again storytelling in the digital age. Do you know SAP now has a designation called “Chief Storytelling Officer”? and Microsoft has Senior Director -Story Telling? These profiles carry important mandate to communicate the core brand story to all stakeholders including employees, customers, vendors and society as a whole. Ever since i founded Wassup in 2011, during the last five years we as a team have been pitching our Wassup story innumerable times on various occasions to different people. Its atleast 3 times a day we pitch our story to either our employees, family, friends, customers, investor, vendors or other stakeholders. So for all practical purposes I have told Wassup story atleast about 5000 times so far in some way or the other. Some experiences have been terrific but some didnt create the impact that Iwould have desired. Looking back Istarted seeing a pattern to the experiences that people really liked and slowly evolved this formula that I try and use which Iwanted to share with you. Describe a problem or a pain or an issue or opportunity. Show them how you are weaving a solution. Make them visualise and imagine. Convey the passion through choice of words and imagery. Give real life cases that connect emotionally. Keep a balance between detail and crispness. Bring in a feel good factor. One of the qualities of Wassup that has struck a chord with our stakeholders is our story. There are many aspects to the Wassup story, but we are privileged and fortunate to have championed and choosen to tell the upliftment and modernisation story of a 11 Mn strong community in India — “The Dhobis”. This is a business story that has not been told by anyone before. Our vision and dream to create the “Amul” equivalent of the Dhobi industry inspires us and also the people listening to our story. Do look forward to more on the Wassup Story.